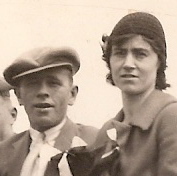 Henry and Florence in 1933, nine years after their marriage. 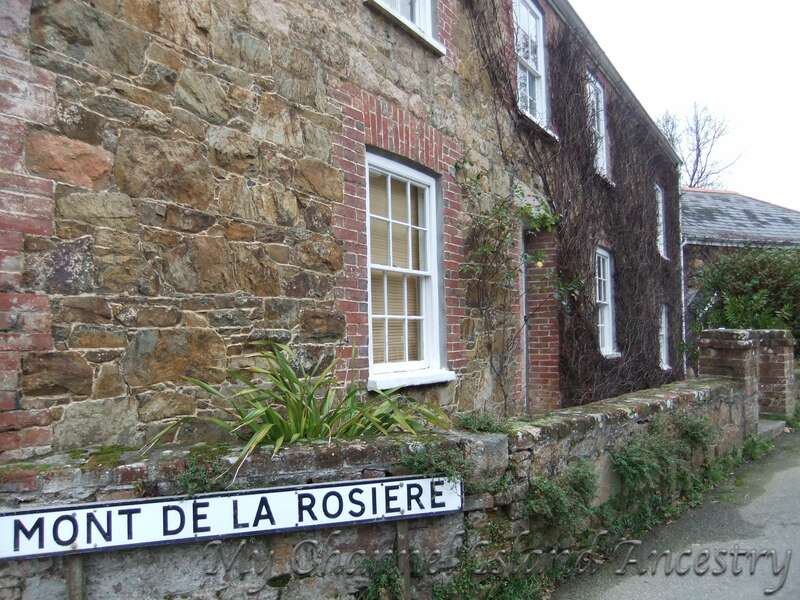 On this day 23rd June 1924 my great grandparents Henry Yves Rabet and Florence Anna Gallienne were married in the Parish of St. Saviour, Jersey, Channel Islands. Henry was 22 years old, a bachelor, living in St. Saviours (I don’t know where exactly). He was working as a Labourer, maybe with his father Yves Rabet, also a Labourer, who is on the marriage certificate. Florence was 18 years old, a spinster, living in St. Andrew/St. Helier. Her father Albert Gallienne is on the certificate working as a mason. Henry and Florence married in the presence of Peter Le Vannais and Hilda Maud le Vannais. Hilda is one of Henry’s sisters. How Henry and Florence met is unknown, and in the next six years they start a family and have four children together. My grandmother told my mother that she was brought up in a place called Paul Mill Cottage as seen in the photo below, in Mont de la Rosiere Lane. Mont de la Rosiere – where Florence and Henry lived in the late 1920, early 1930’s. Certificates are always an exciting purchase and in my eyes are always worth it for the extra details they record. I was born in Paul Mill Cottage on 28th February 1932. My parents had come over from England and were married in St Helier on 5th April 1931, and lived in Paul Mill Cottage until some time in 1933, when they moved to Green Lane, St Helier. It may be that you and your family moved in after my grandmother and her parents moved out. Unfortunately, I do not have any records confirming when my grandmother lived at Paul Mill, but it is on my ‘to do’ list. Thanks for visiting My Channel Island Ancestry and sharing your information.